Five weaknesses refer to illnesses of the five yin organs: heart, liver, spleen, lungs, and kidneys. The seven injuries refer to injuries caused by the seven emotions: happiness, anger, sorrow, joy, love, hate, and desire. 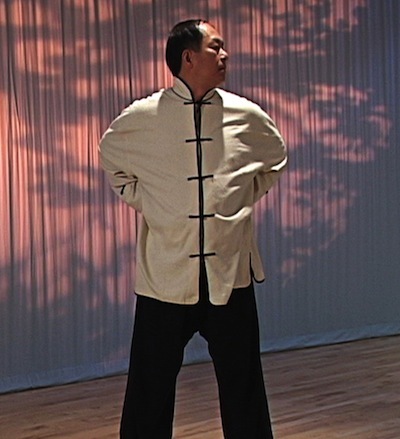 The following excerpt is an explanation of standing brocades qigong exercises four and five. 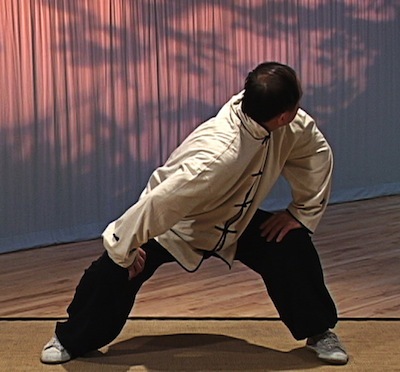 For exercises one through three, read “The Standing Brocades: Exercises 1, 2, and 3” by Dr. Yang, Jwing-Ming. Five weaknesses and seven injuries—wait and see later (they’ll be gone); train long, exercise long, tendons and bones strong. Weakness injuries (from -over-exertion) all because the internal organs (are) weak. Thrust out (straighten) the chest and twist the neck to take a good look to the rear. Hold the waist and hold up the chest; the body is upright. This is especially effective in curing internal injury. Five weaknesses refer to illnesses of the five yin organs: heart, liver, spleen, lungs, and kidneys. The seven injuries refer to injuries caused by the seven emotions: happiness, anger, sorrow, joy, love, hate, and desire. According to Chinese medicine, you can become ill when your internal organs are weak and emotional disturbance upsets them. For example, anger can cause the qi in your liver to stagnate, which will affect the functioning of the organ. But your organs are not the only things affected—strong emotions also cause qi to accumulate in your head. When you turn your head from side to side you loosen up the muscles, blood vessels, and qi channels in your neck and allow the qi in your head to smooth out. Additionally, since you are also training your feelings and shen to be centered and neutral, you will be able to avoid excessive or extreme emotions and their negative effects. In the form, you turn your head to look behind you, as if you were looking at all the negative things that you have left behind. It is important to look intently to the rear, so that the qi keeps moving. If you merely turn your head, the qi will stagnate in your neck. Practicing this piece regularly will regulate the qi in your organs and head, repairing the damage caused by strong emotions and helping you to avoid all illnesses. The poem also implies that this piece can cure old injuries. When you practice, you use your mind to lead the qi from your lower dan tian to the bubbling well cavities, which smoothes out the qi circulation in your lower body. When you turn your head while holding your hands in the different positions, you slightly stretch different parts of the inside of your body and regulate the qi flow there. This will help to cure old internal injuries and bruises that cannot be easily reached by other methods of treatment. Stand easily and comfortably with both feet parallel, and your hands hanging down naturally at your sides. Lift your chest slightly from the inside so that your posture is straight, but be careful not to thrust your chest out. Turn your head to the left and look to the rear as you exhale. Next return your head to the front as you inhale. Turn your head to the right and look to the rear as you exhale. Return your head to the front as you inhale. Turn twelve times in each direction, for a total of twenty-four. Your body should remain facing to the front. Do not turn your body as you turn your head. Place your hands on your waist. Thumbs forward and fingertips point to your spine. Turn your head to the left and look to the rear as you exhale. Return your head to the front as you inhale. Turn your head to the right and look to the rear as you exhale. Return your head to the front as you inhale. Turn twelve times in each direction, for a total of twenty-four. Your body should remain facing to the front. Do not turn your body as you turn your head. Move both hands to your chest with the palms facing up, press your elbows and shoulders slightly forward, and turn your head to the left as you exhale. Return your head to the front as you inhale. Turn your head to the right as you exhale. Return your head to the front as you inhale. Turn twelve times in each direction, for a total of twenty-four. Your body should remain facing to the front. Do not turn your body as you turn your head. During all three parts, use your yi to lead the qi from the lower dan tian to your bubbling well (yongquan, K-1) and huiyin cavities when you exhale and turn your head to either side, and then lead the qi back to the lower dan tian as you inhale and return your head to the front. Translation: Sway the head and swing the tail to get rid of the heart fire. (When) the heart fire (is) strong, (use) the metal lung to subdue. Hands press the kneecaps,-repeatedly sway and swing. Blood flows smoothly, many good benefits. (If) the muscles/tendons are cramped, legs sore, (and) body numb, repeatedly extend and press heavily; do not waste time (hesitate). Fire (excessive qi) in the middle dan tian (zhong dan tian) at the solar plexus can be caused by improper food, breathing unhealthy air, or lack of sleep. This frequently causes heartburn. For this reason, it is called heart fire (xin huo). When excessive qi accumulates and stagnates in your middle dan tian or heart, the best course of action is to move this fire to the lungs where you can regulate it and put it out with smooth breathing. According to the five elements theory, fire can destroy metal, but metal can also absorb the heat and control fire. The lungs belong to the element metal (see table), and the heart belongs to the element fire, and so it is said that the metal lungs can subdue the heart fire. When you hold your hands on your knees with the thumbs to the rear, you are expanding your chest, and when you move your body from side to side, you are loosening up the lungs and therefore taking in the excess qi from the middle dan tian, and consequently putting out the fire. As you are doing this, you are also increasing the blood circulation, which will take care of any numbness or soreness in the legs. Table of the Five Basic Elements showing their impact on human life. Make sure that when you lean to each side you don’t drop your head. Keep your head, neck, and spine in a line. When you “press heavily” on one knee, you compress the lung on that side and relax and open the lung on the other side. This works the two lungs like -bellows. From a natural standing position, step your right leg one step to the right and squat down in a horse stance. Place your hands on top of your knees, with the thumbs on the outside of the thighs. Your qi is sunk to the bottom of your feet, and your yi is on the two bubbling well cavities. Shift your weight to your left leg and press down heavily with your hand, and line up (extend) your head, spine and right leg. Stay in this position for about three seconds. Shift your weight to your right leg and press down heavily with your hand, and line up (extend) your head, spine and right leg. Stay in this position for about three seconds. Turn twelve times in each direction for a total of twenty-four repetitions. The above is an excerpt from Simple Qigong Exercises for Health, Eight Pieces of Brocade by Dr. Yang, Jwing-Ming.